How do you avoid clichés when filming a haunted house thriller? The BBC’s new 3-parter The Secret of Crickley Hall doesn’t even try. Old, large and isolated house: check. Nice new family moving in: check. Creepy cellar: check. Eerie rattling cupboard: check. Dog sensing evil spirits before the humans do: check. Barkeep retelling a local legend… I could go on. The strange thing about The Secret of Crickley Hall is that, despite the clichés, it still manages to be both frightening and deeply intriguing. The story is based on the 2006 novel by horror legend James Herbert, directed and adapted by Joe Ahearne. 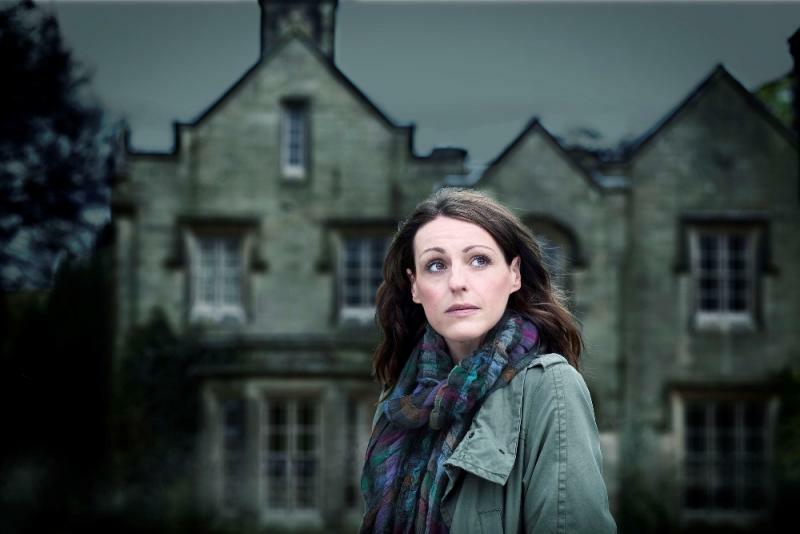 When Eve Caleigh (played by Suranne Jones) takes her son for a walk in the park, she mysteriously falls asleep on a bench and awakes to find her son has vanished. One year on, the still grief-stricken family move into Crickley Hall, located in the village where dad Gabe (Tom Ellis) has found a new job. Weird things soon start to happen (of course they do). Doors open and close of their own accord; wet footprints creep across the floor and up the Hitchcockian twisted stairs. A psychic connection between Eve and her son seems to be broken when he disappears, but when the family moves into Crickley Hall the connection is re-established, preventing viewers from shouting ‘why don’t you just leave? !’ at the screen. The family cannot leave the house when Eve can hear her son calling to her from within its walls; a clever plot device. The story cuts between 2012 and 1943, when the house was an orphanage run by sadistic, cane-wielding Augustus Cribben (played with brilliantly psychotic fervour by Douglas Henshall) and his weird sister Magda, played with sinister iciness by Sarah Smart (sample lines: ‘Toys have to be earned.’ ‘Food has to be earned.’) When intelligent young schoolmistress Nancy Linnet comes to teach at the Hall, she bravely sets out to rescue the orphans from the Cribbens’ reign of terror. The acting is consistently stellar, the deep, rumbling music effectively goosebump-inducing, and the plot zips along at a satisfying speed, drawing you deeper and deeper in. The first episode left lots of questions unanswered: why the particularly brutal treatment of Jewish orphan Stefan? What happened in the flash flood of 1943? What’s the significance of the local myth regarding the Devil and Crickley Hall? I, for one, am eager to find out.